Sydney-based design studio Autumn has created a whole range of lamps called House Lights. 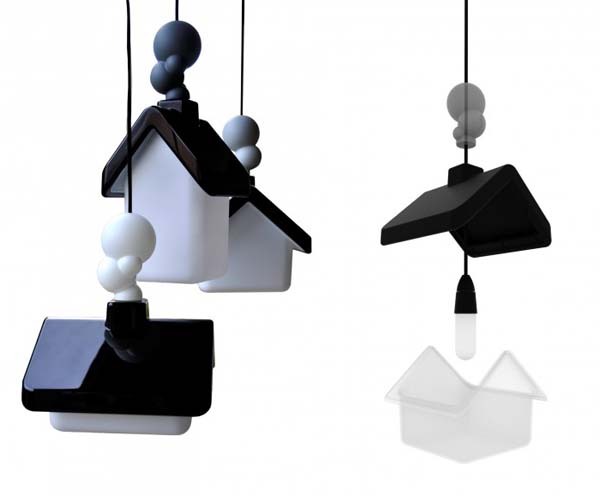 These house-shaped small lamps are not a simple cute decoration. House is our refuge or prison. Well, mostly it is a nice place to escape to from the problems of the world and environment. 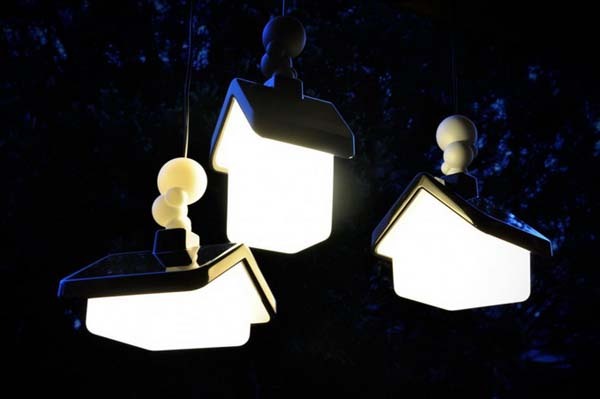 House Lights symbolize the house as a light in the ‘darkness’ that calls you back home from your travels and getaways. It’s welcoming, nice and warm. The range of these cute little lamps consists of three sized lights that make up a village. They have different shape and can be hung all together in one place. The little house lamps look as though they came out of a fairy tale. 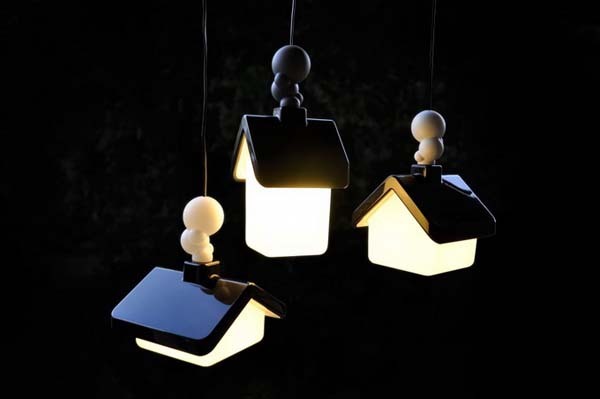 Made of rotational-molded PE and rubber parts the house lights can be easily taken apart and seamlessly joined due to magnets. The smoke-shaped rubber part is meant to make the house light seem a little bit more real. These very cozy lamps can lighten up your porch and outdoors as well as the house. Living room is a perfect place for these lights as they remind of love, family and unity in the house. However, children are most likely to love the fairytale-ish atmosphere of House Lights.